In business for nearly 40 years, LaBell Exchange has a long-standing reputation for providing highly reliable call center services to Beverly Hills businesses. We know our customers value reliability, professionalism, and accuracy, which is why all of our operators undergo extensive telephone answering training and are closely monitored by experienced call center supervisors. You can count on them to enhance the image of your Beverly Hills business while also lowering overhead costs and increasing efficiency--all with hassle-free service terms and competitive rates. Our superior phone answering services have been recognized by the Association of Teleservices International (ATSI) seven years in a row. To learn more about our Beverly Hills phone answering and voicemail services, give us a call today. With years of experience, extensive training, and top-of-the-line telecommunications equipment from Startel, the team at LaBell Exchange has the expertise and resources to deliver outstanding call center services in Beverly Hills. We excel at answering most calls within three rings and provide personalized phone answering services that will reflect well on your Beverly Hills business. Our phone answering services are available 24 hours a day and can include any or all of the following services: virtual receptionist, information screening, voicemail, call batching, advanced message delivery, inbound telemarketing, dispatching, surveys, order taking, caller analytics, call recordings, third-party translation services, and reservation management. To learn more about our comprehensive call center services for Beverly Hills businesses, give us a call. 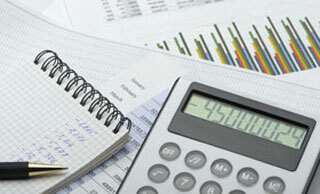 All call center programs are customized to the meet the needs and budget of each client. With our experience serving a wide array of businesses, we are positive that we can meet or exceed the expectations of the type of business you have in Beverly Hills. For business in Beverly Hills, we offer fully customizable voicemail at highly cost-effective rates. Perfect for managing high call volume due to seasonal or promotional peaks, our voicemail service can include personalized company greetings, operator-assisted voicemail, and directory features. We also offer voicemail trees which will prompt callers to leave a message under one condition and direct them to a call center operator under a separate condition, keeping costs down as you only pay for calls directed to a live operator after an initial start-up fee. Additionally, because we bill month to month, those in Beverly Hills can adjust their voicemail and other phone answering features to suit the changing needs of their business. Call today to learn more. Commercial leasing rates in Beverly Hills are high enough without having to also worry about all of your other overhead costs, such as hiring and training receptionists, accommodating their availability, paying for sick time, holidays, and overtime, and more. That's why more and more businesses are relying on LaBell Exchange's virtual receptionist services. Serving commercial clients in Beverly Hills, our virtual receptionists are courteous, professional, and reliable. You can count on them to use pre-approved company scripts to give your customers and business associates exceptional customer service 24 hours a day without having to worry about any HR-related issues. 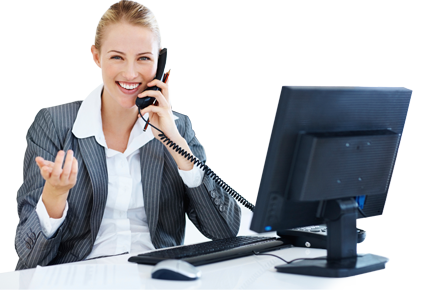 Our virtual receptionist services can include message taking, scheduling, order taking, dispatching, payment processing, call routing, and more. So call us today and learn more about our affordable virtual receptionist services for Beverly Hills businesses. Whether you want to gather customer information, get feedback about recent services rendered, or are looking to gather real-time reactions about upcoming projects, campaigns, events, or services, LaBell Exchange can help. Our call center is fully equipped to handle polls, surveys, and other data collection needs by phone for Beverly Hills companies and organizations of any size. Available 24 hours a day, our live operator services are reasonably priced and a great way to accurately and expediently gather the information you need to stay competitive. We've worked with thousands of clients over our 35 years and maintain a large phone answering staff who are capable of handling large call volumes in an efficient, accurate, and friendly manner. Simply give us a call to learn how our over-the-phone surveys and data collection can help your Beverly Hills business. Call LaBell Exchange today and learn how our round-the-clock order and message taking services can help you save you time, boost profitability, and enhance customer service. Our highly trained phone operators are experienced in taking orders and messages, and consistently provide outstanding customer care over the phone. You can count on them to maintain accuracy in message taking and order fulfillment as they always clearly repeat back information provided by each caller. We also offer the ability to record every call for verification purposes. As a result of our 24-hour availability, courteous service, and multiple purchasing options, we maintain a large loyal following of Beverly Hills clients. Increase your efficiency with advanced message delivery from LeBell Exchange. 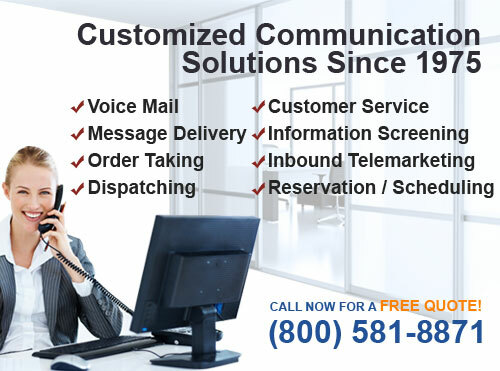 We answer telephone calls at all hours of the day and provide highly accurate message taking with convenient and reliable message forwarding. We can send you message notifications via text, email, fax, or phone. We can even forward .wav files directly. Messages can be delivered as soon as they are received or batched and sent on a regular schedule. With our advanced technology, we can also accommodate special requests and preferences, such as having special procedures for handling new client, VIP, or emergency calls. In every case, our message delivery service offers Beverly Hills businesses a cost-effective solution for capturing incoming phone calls with little overhead. Call to learn more. Call LaBelle Exchange today for telephone answering and dispatching in Beverly Hills. Our call center operators are carefully screened and rigorously trained to handle a wide range of emergencies. Compassionate, professional, and experienced, they are fully able to care for distressed callers, such as those shaken by a recent accident, death, injury, or arrest. As such, they are qualified to work with Beverly Hills clients in the municipal, bail bonds, hospice, towing, healthcare, and legal industries, as well as those in property management, plumbing, HVAC, towing, and other service industries. From dispatching plumbers and tow trucks to EMTs and fire departments, we have over 39 years of experience you can rely on. As a seven-time recipient of the Association of Teleservices International's Award of Excellence, our phone answering services are among the best. Known for courteous service and accurate message taking, our 24/7 call center offers Beverly Hills customers a cost-effective solution for enhancing their image. Our account managers will work closely with each client to develop custom protocols and scripts for their business, as well as go over our options for call screening, priority queues, and month-to-month adjustments as you discover expanding answering service needs. Call today and find out why countless numbers of satisfied clients continue to choose us for telephone customer service in Beverly Hills. Our call center provides Beverly Hills businesses with professional phone answering with information screening. We've provided this service to thousands of clients from a variety of backgrounds, including attorneys managing a class action lawsuit; offices processing customer eligibility for recalls; companies looking to pre-screen job applicants; and more. Our answering service operators are skilled at guiding callers through all kinds of questionnaires and can adhere to custom scripts, ensuring they know answers to frequently asked questions and direct phone callers to appropriate departments. Combined with our attention to detail, professionalism, and fair prices, we offer our Beverly Hills clients a terrific value. If you're looking to ramp up your next marketing campaign with inbound telemarketing and reporting, give us a call. Our inbound telemarketing services offer Beverly Hills businesses a cost-effective and efficient way to follow up on mass emails, flyers, billboard campaigns, commercials, and other outreach efforts. Our call center is available 24 hours a day and staffed with live operators who are courteous, professional, and reliable--ensuring they make a great first impression. You can trust them to answer most calls within three rings as well as to take leads, gather information, forward high-priority calls, answer commonly asked questions, and guide callers through your intake process, such as setting up client profiles, event registration, ordering, or meeting/service scheduling. Simplify your life with over-the-phone reservation and schedule management services from LaBell Exchange. Businesses in Beverly Hills can count on us for fast response times, courteous customer service, and error-free scheduling, whether we're following up your office's yearly check-up reminders or responding to calls for conventions, seminars, events, or meetings. Available 24 hours a day, our call center operators are very courteous and will always take the time to verify caller information, ensuring unparalleled accuracy in scheduling. So whether you're a financial consultant, hospital manager, doctor, instructor, or event planner, give us a call today and we'll be happy to discuss your reservation and schedule management needs in Beverly Hills.